Selling an engagement ring following a broken engagement can be difficult, both practically and emotionally, and frequently couples do not recoup anywhere near the full cost of the ring. 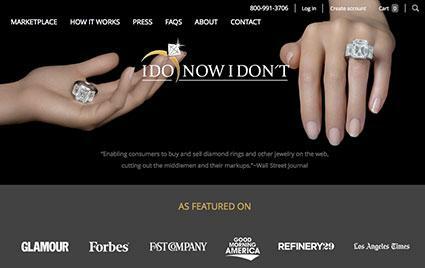 Joshua Opperman, founder and CEO of I Do Now I Don't, a jewelry auction website dedicated to helping individuals sell rings they no longer need in a secure environment, offers tips for those navigating this difficult task. LoveToKnow (LTK): You started I Do Now I Don't after you had to sell an engagement ring because of a broken relationship. What was the ring design from your engagement? 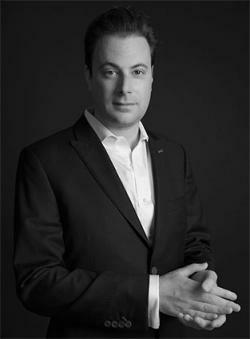 Joshua Opperman (JO): I got a Tacori style ring. The ring was platinum with diamonds around the band. The center stone was princess cut with two side stones that were princess cut as well. The ring cost me most of my savings. I'd rather not disclose the price, but I will tell you that it was very expensive. Fortunately, I was able to sell it for about 60% of its value. LTK: Did you have any prior experience buying or selling jewelry? JO: Buying an engagement ring was my first experience in buying jewelry; however, a lot of research went into buying my ring. It took me months to pick out the exact ring I wanted, and I learned a lot about diamonds during that process of choosing the right ring. LTK: Why is it so difficult to resell an engagement ring? Wear and tear: Most second-hand jewelry will have been worn, subjecting it to wear, tear, and possible damage. This will reduce its value. Manufacturer's profit: The markup on a new diamond and setting may range greatly. New rings can be sold at double, even triple, their cost, depending on the policy of the store. If the jeweler bought diamonds back from customers, they would have to buy them back at the wholesale price. Fashion trends: Styles are always changing. LTK: How can I Do Now I Don't help with this problem? JO: Our website provides an outlet to sell your ring at the price it deserves. Our independent quality authentication process ensures a safe environment to buy and sell rings. Both the buyer and seller do not have to worry about scams. LTK: What percentage of the initial price do most rings on your site sell for? JO: I'd say about 50 to 60% of the value. LTK: What types of rings tend to sell for the best prices? JO: The rings that usually sell are the ones that are priced the right way and that have all the appropriate paperwork. LTK: What can a seller do to make their ring more attractive to buyers? JO: I always think it's nice to put a personal touch when posting your ring. Telling your story about why you are selling your ring appeals to others. Obviously, it is also important to take good pictures of the ring at different angles and to provide the appropriate paperwork. LTK: Buying jewelry online is a little scary for some consumers. How would you recommend buyers protect themselves? JO: We manage our site meticulously in order to prevent unscrupulous auctions. I like to think our site prevents this altogether. When rings are sold on our site, they are sent straight to us in order to be authenticated. This guarantees you are getting what you paid for. If the rings turns out to be a fake, the ring will be sent back to the seller and the buyer will receive their money back. LTK: Other than a broken engagement, why else might someone need or want to sell an engagement ring? JO: Other reasons may include divorces or being widowed. Sometimes we even see people who are just looking to upgrade their own ring. Whether you're selling your ring after a broken engagement or for another reason, it's important to get the most you can for it. Recouping some of your costs can help you begin to move on from your experience. An auction site like I Do Now I Don't can provide a good marketplace for those who have rings to sell.